They are the fastest, the most reliable, the best equipped, the best at navigating, the most complete athletes of the raid: Cyril Despres and Marc Coma, the two winners of the last three editions of the Dakar have reached a level of maturity and performance that puts them at the top of their art. On the French side, the title holder has been banking on his steadiness and his cold-bloodedness to pile up success after success. His taking the lead in the last three days of the raid only in the 2007 edition typical of the Despres strategy: he built – once again – his victory on his long-lasting steadiness. On the Spanish side, the man showed pure talent until his only mistake in the 13th stage of last year’s rally. The Coma strategy aims at reaching the top of the race from the very first day onwards and this year again, the Catalan will be much awaited for a fantastic demonstration of his talents on the trails of Argentina. 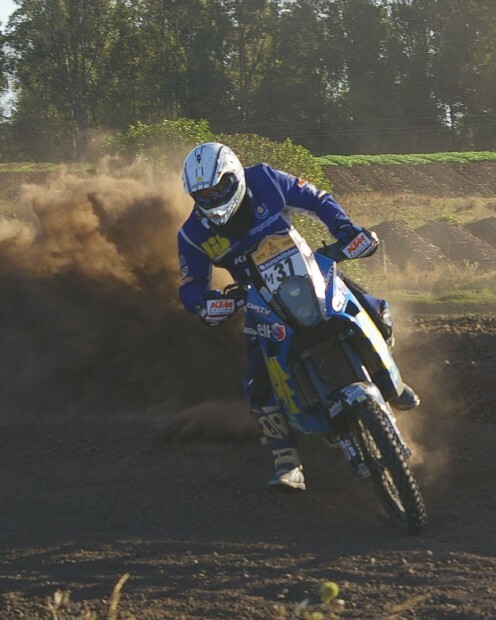 If both are still favourites for this year’s Dakar, their track records in the 2008 season have been much less impressive than in previous years. With one victory only at the UAE Desert Challenge, Despres has not been too prone to victory this year, as steady as he might have been in the top positions of the rankings – he finished 2nd of the Baja Espa¬ña, of the Pax Rally and of the Rally Dos Sertoes. And the season’s results of Coma, who only won one trophy this year at the Baja España, are showing signs of the same weaknesses. Against this background that might be an opportunity for those waiting in ambush and counterattacking, David Casteu, 3rd of the Dakar in 2007, is seen as the increasingly credible outsider. His victory at the Central Europe Rally, a first for the man from Nice, was enough to wipe out any remaining complexes towards his two main contenders. But Pal-Anders Ullevalseter or Jordi Viladoms also have some serious cards to play this year. The change of continent might also change the usual rankings in the lead of the race: Chile’s Francisco Lopez, who is most certainly familiar of the Atacama Desert, will definitely start with a serious advantage in the decisive final stages of the rally raid. Finally, if the difference in bike sizes might compromise their chances for winning the race, the bikers registered in the 450cc category, be they with Yamaha, Honda or KTM, might – for the best of them – have a serious option for a place in the Top 5. David Frétigné, who already finished 5th in 2005, will be one of the man to keep an eye on in this category where the show will certainly be made by the likes of Portugal’s Rodrigues or France’s Béthys, Marchini and Pain. 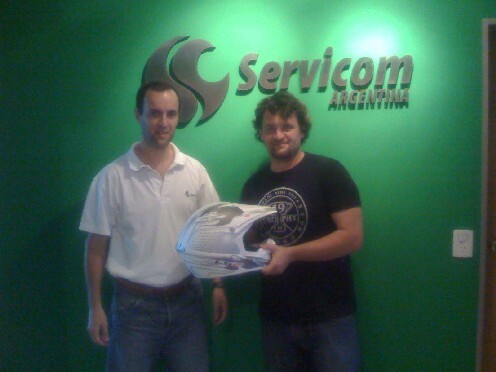 No Argentinian has ever managed on a bike to finish the Dakar. Alan dreams of being the first in the history books: “I have no ambition concerning the overall but I do want to finish as the first Argentinian”. A challenge against the six other bikers motivated by the adventure and the recognition of the sky blue and white nation. But Alan Eduardo’s ambition isn’t only personal. With friends including Laurent Lazard, he launched the ‘Pampa Racing’ team, a structure that should help make the race more popular in Argentina and start new vocations. His didn’t coime early. Eduardo first started by playing rugby at the ‘Deportiva Francesa’ club, and also tried out athletics as well as being a first aid specialist. But biking eventually became his main passion, sweeping all other disciplines aside. At 25 years of age, he travelled through Patagonia: his first real adventure. At 27, with a friend, he tried Europe where he bought a bike before cruising for thousands of kilometres all the way to Morocco where he discovered sand, bivouacs and how to use a compas. Finally in 1998, he seriously started considering the Dakar without going further than the registration forms. But the process had started: Eduardo met Laurent Lazard, David Casteu and others, listened to their stories and decided to act: “I ride more and more”. For his first appearance, Eduardo has put all the chances on his side and prepared his adventure carefully after managing a good 25th position during the last rally of Tunisia. On Monday i have participle has a conference of press has SORIANO. The region of SORIANO will be my partner on the next dakar. 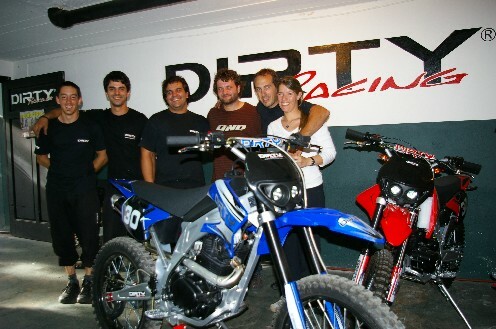 Yesterday , i training in uruguay in motocross track, i m test mi suspetion , i fell good the bike.